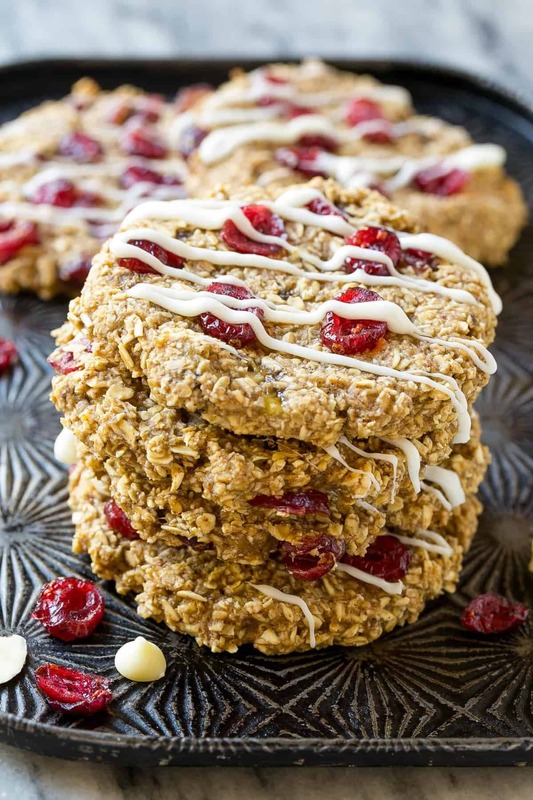 This Cranberry Almond Breakfast Cookies recipe is perfect for early mornings on the go. 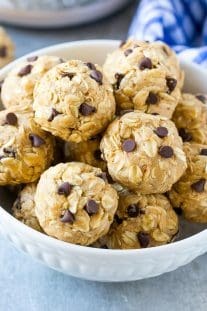 You can make these in advance and just leave them out for the kids to grab in the morning. 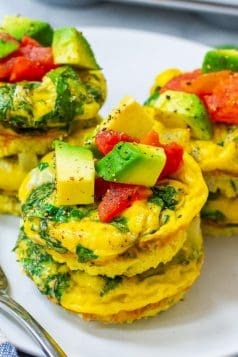 Anything that is simple and can make your breakfasts a lot easier, go for it. This is also one of those great recipes that you can make all year round. Don’t make cooking harder on yourself. 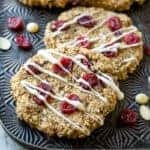 Make batches of this Cranberry Almond Breakfast Cookies recipe and watch your family devour them. I promise these cookies won’t last long. Especially if you have cookie monsters in your house as I do. Cranberries are something you can buy year round too, so you don’t have to worry about them being out of season. 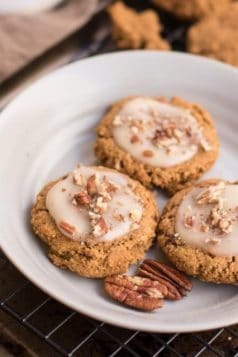 If you’ve never had breakfast cookies before, these are about to change the way you view breakfast cookies forever. 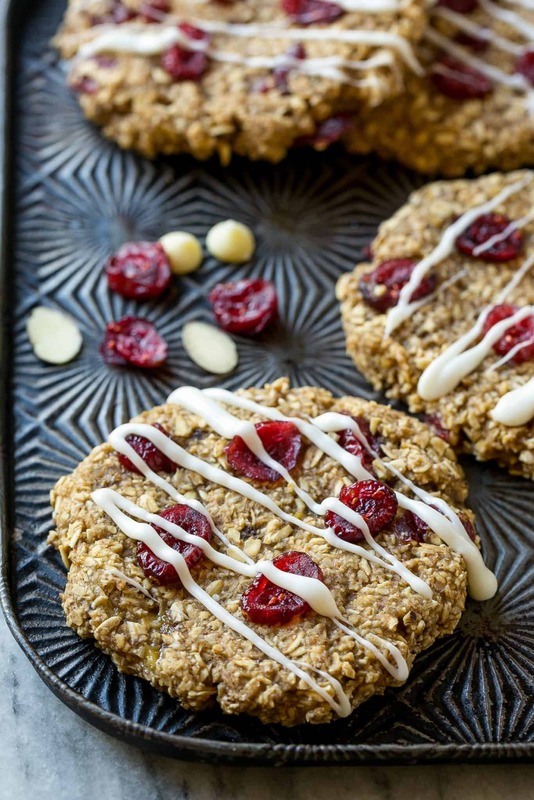 Your Whole family will love these Cranberry Almond Breakfast Cookies. Some of you may be thinking well white chocolate chips aren’t healthy. 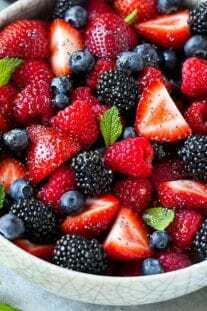 Well, you are right, not really if you are kind of on a strict diet and limiting your sugar intake even though its only a small amount used in this recipe. 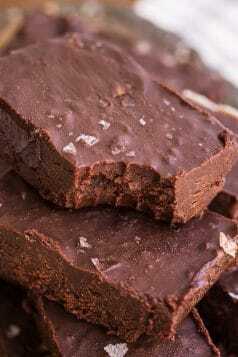 You can drizzle less white chocolate or find some sugar free ones out there at health stores or even not use any at all. 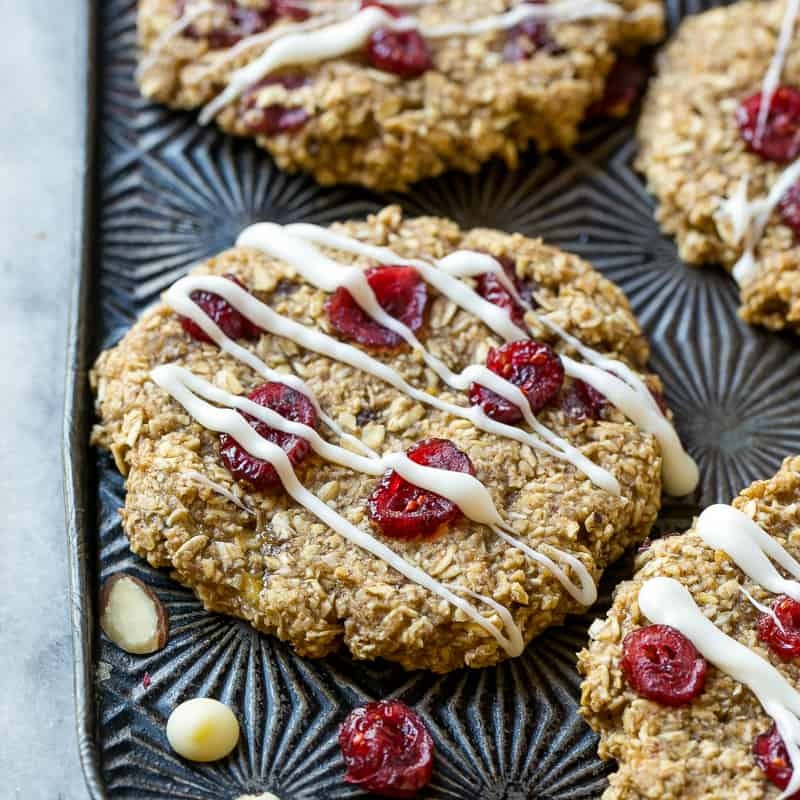 This Cranberry Almond Breakfast Cookies recipe can be made into vegan cookies if you choose to make them vegan. 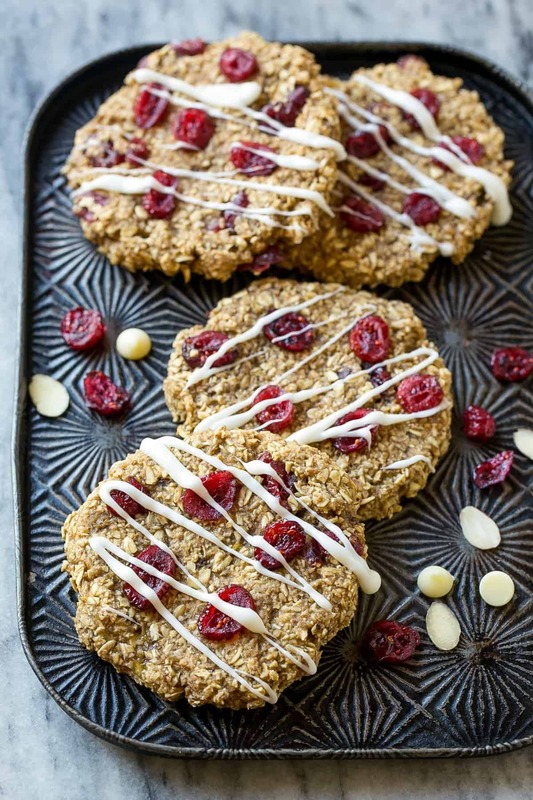 Just use maple syrup instead of honey and use dairy-free white chocolate chips. 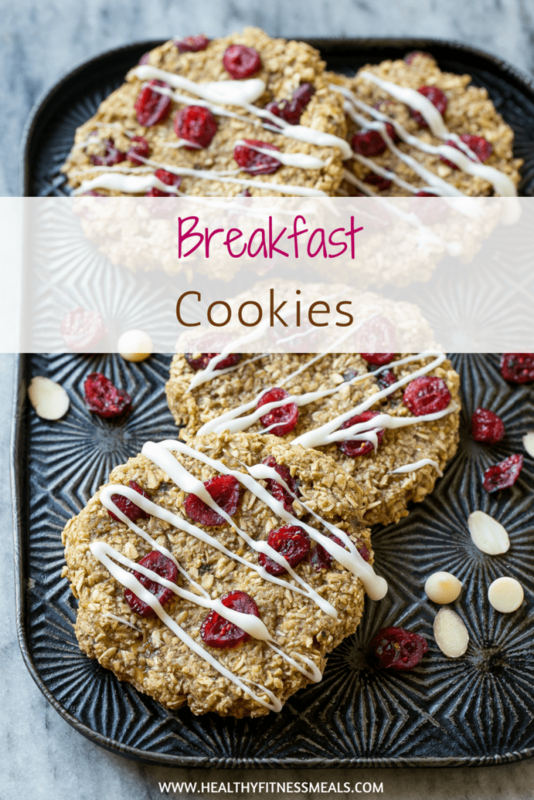 Breakfast cookies that are low in sugar yet packed with wholesome goodness like oats, banana and almond butter. Place the oats, bananas, almond butter, honey, and cinnamon in a bowl and stir until thoroughly combined. Drop 2 tablespoon amounts of the dough onto a sheet pan that’s been lined with parchment paper. Use your hands to form the mounds of dough into flat cookie shapes – this dough does not spread when baked. Place in the oven and bake for 15 minutes or until centers are set and edges are light brown. Heat the white chocolate chips in the microwave in 30-second increments until melted. Drizzle over the tops of the cookies.